The strange things that have been happening to the west of Canelux have finally revealed their perpetrators. From distant lands, humanoid-like bugs have begun to invade the mainlands. They had already claimed Dalanesca, The Reaper as their first victim although she had been saved. Angela had noticed something the others had not. Her senses were on fire once she had resurrected Dal. The strength of the titan powers she had was still leaving her body. “We have a guest.” Angela stood up and began to crack her knuckles. She teleported from her spot to a nearby hill. Lokir, the god of Strength, and Zanar, the god of the Hunt, quickly noticed what she did afterward. Behind the hill was a wasp-like creature that had been spying on them. It didn’t take much for most of the conclave to see where the angry mother was going with this. Xunatar had lots of nifty tricks up his sleeve and Angela provided the necessary skill not to break the poor thing completely. Finally, they got what they needed out of the creature’s mind itself. The gods decided that they would work together in pairs to lead the mortals below for they could not sit still. The Voice tasked Xunatar the God of Darkness and Chaos with overseeing that Angela did not fall to any of the creatures. She was their only chance at keeping the balance should another god fall. A mass message was sent through the airs by the Gods at that point. They rallied their supporters, their enemies, their families, and anyone else who would listen. Even Parvpora heard the calls as the citizens listened with grim faces. This was life or death. Some people wanting more chaos in the world went to the insects to join them in bringing down the gods, but they found themselves butchered immediately with no remorse. This was an extermination and the people of the Moons would all be the insect’s victims. For those not so foolhardy, they were told to rally with the gods in four locations across the continent of Canelux where the fighting would be. Smaller platoons were sent along the coasts to catch the drifters who would avoid the large battlefields not set up. Endapano, Apoy Island, The Great city of Mamlak, and Itjivut, the Ice Island were the areas that would decide the fate of everyone. Even those who could not fight rallied to help those that could. The only question that remained was… What would your glory be in this fight? This is a multi-part Invasion Event. This event has several things that will happen whenever the counter reaches a certain number. Each of these four areas will receive a x5 silver boost for the duration of the month of October. Everyone will receive a x2 silver boost for the duration of October for everywhere not in the event. To see what they do check out the Item Catalog and enter their name! ORRR go to Namita's shop and check it out! Revaliir is screwed you should probably fight off the insect invasion in the areas listed. Attempts to join the bugs will get you killed they don’t like you. They don’t care about your objectives. Good job guys! I blinked and you guys reached 100k! Information on the invaders for the wiki. 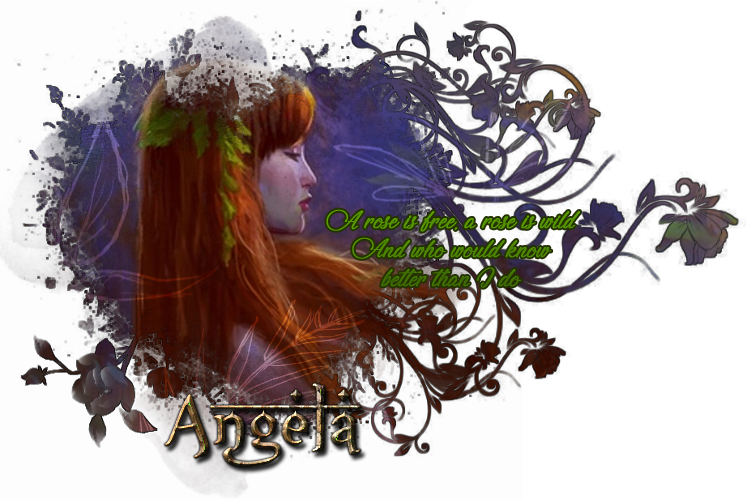 The Voice has Angela Goddess of Life and Love call forth the volcanic floors of the Nyella Ocean to create towering walls as to filter the Insects to the battlefields so they cannot change course. This cannot stop all of them but it does derail most of the forces. Angela also provides rays of healing energies within the battlefield forts that are outside of Endapano where she is. Adraejen god of Magic and Knowledge uses his specialty in knowledge to send all that they had discovered to everyone on the battlefields. 2nd Goal 87,000: Large immovable rods have been commissioned to all of the best artificers and inventors that both continents have. They are placed throughout the ocean as carefully as possible by flying units since doing it by airship or sea ship isn’t possible. Zanar God of the Hunt and Wilds gifts everyone with a special sight that allows them to see the weak points on the insects’ bodies. Naota God of Light and Dreams makes sure that all those participating get restful sleep and pleasant dreams to encourage sanity. 3rd Goal 95,000: Storm mages are brought together by Shiloh Goddess of Luck and Storms and all of them concentrate on the skies. Lightning begins to hit the lightning rods creating an electric field that bouncing. Insects unlucky enough to avoid it end up electrocuted and fall into the ocean. Shiloh also provides the forts with good weather and units with enhanced luck during their fights. NEXT GOAL IS AT 125,000! You guys if you want to rp out the phases and not just jump and are worried about slow posting you don't have to move at the speed of the goals. You can go as you please :) this just helps pave the road for what you can do in your rps or how you react! THE NEXT GOAL HAS BEEN MET! 4th Goal 125,000: The insects slowly lose their edge over the Gods because they have been in Canelux for too long. The Voice has taken notice of this. The Gods use this new knowledge to advance their front lines. Xunatar God of Chaos and Darkness plummets all of the battlefields into chaos in enemy territory. Insects who cannot resist are killing themselves to escape the horrors they see. Dalanesca Goddess of Death and Desire consumes the souls of those killed and grants new strength this way to all fighters. The 5th goal will be hit at 225,000! Cause we are all in sight! The Voice was with them now, in His own way, as the World Tree becomes visible over all of Canelux, intangible but there. Half of its roots shoot out over the ocean as if searching for something beyond sight. Meanwhile, on a hilltop a huge grey bear, covered in armour, gives out a roar that echoes across all of Canelux, yes, he can feel some of his power returning, the tide of battle is slowly shifting. The God of Strength and War shifts from a bear back into his human form, armour and all changing with him, until he's standing tall. He surveys the people before and starts to speak, but his voice carries throughout Canelux those fighting to save their home. His voice calm, collected yet full of raw emotion and strength. ”Brothers and sisters of Canelux, I am Lokir, God of Strength and War, hear me! The Voice, our guiding being, the very essence that gives us Deities our powers has come to the lands in their time of need, so take strength and heart! You can hear me now, no matter where you are, because our powers are slowly returning, but this war is far from over yet!” He cautions, wanting to raise spirits and give hope, but maintain order and make sure the mortals didn't take it to mean that they could relax, no, the Gods were still vulnerable, still needed to be careful. ”These pests have invaded, unprovoked, into homes, taking from us what we have worked so hard to create. They may bite, but we, we will resist and bite back, and we will bite harder!” His voice boomed out, even enough for the invaders to hear it, and since they couldn't see the source they were rattled by the power they felt behind it. ”We may have never seen the likes of them before, but they have never seen the likes of us before either! We will show them the power that we hold when we unite as one, that there is no greater force than us!” He let that echo for a moment before continuing. ”The war is all around, but are not defeated, and nor shall we be! Look at what this fight has done! Enemies have come together, put their differences aside to fight as one, to fight the true enemy! So take up arms and fight as one, for these are our lands, our homes, and we shall not allow these insects to take anymore from us than they already have!” He finished, quickly dropping back into his bear form and letting out another roar to punctuate and amplify what he had said, and further rattle the insects that could hear him. I've hammered the event again! You lot are REALLY killing it this year! So because I'm not ready to reveal 6-9 JUST YET — I've decided to throw ANOTHER WAVE OF INSECTS AT YOU! Next goal is 675,000 you guys are SOOOO close. You have 18 days left to complete my 9 challenges! You have 618,726 points left to rack up!!! LET'S RALLY THOSE MOON SISTERS!!! SQUASH THE BUGS! I'm not promising it will make sense or if you will get it right away but P: since people are asking about it… Why not make it a little game?